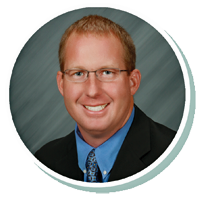 Bret joined Stearns Bank in 2018 and has been in sales since 2001. He has experience in owning and operating equipment, which allows him to better relate to his customers while tailoring financing to suit their specific needs. Bret enjoys getting to know his customers on a personal level while getting every deal approved for them as fast as possible. It provides him a great sense of accomplishment knowing he was a part of helping someone achieve small business success.